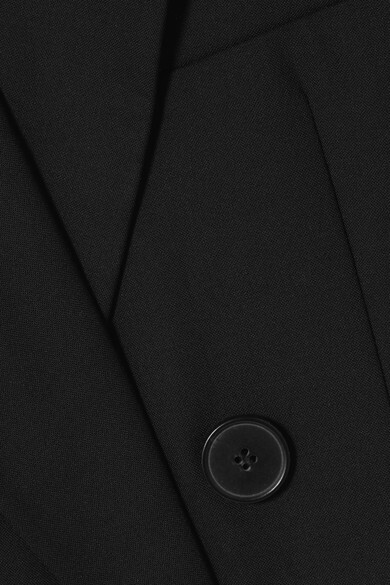 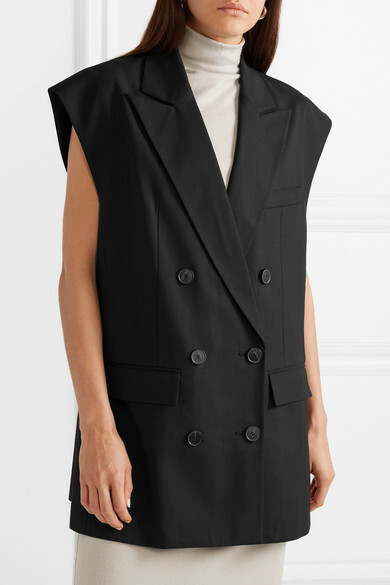 NET-A-PORTER Global Buying Director Elizabeth von der Goltz is excited that designers like Amy Smilovic are really pushing boundaries when it comes to tailoring this season. 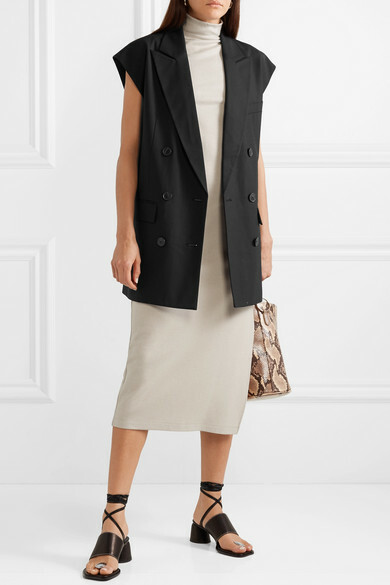 Though it's designed with classic features including pointed peak lapels and a double-breasted front, Tibi's structured crepe vest is cut for an oversized fit that feels so fresh. 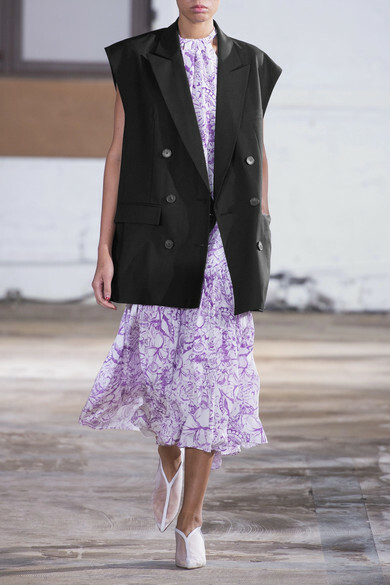 Echo the runway by layering it over a patterned dress, or style it with a solid one for a more pared-back look. 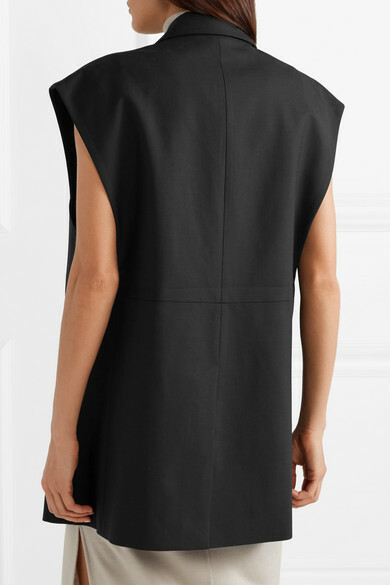 Shown here with: Vince Dress, TL-180 Shoulder bag, Ellery Sandals, Leigh Miller Earrings.